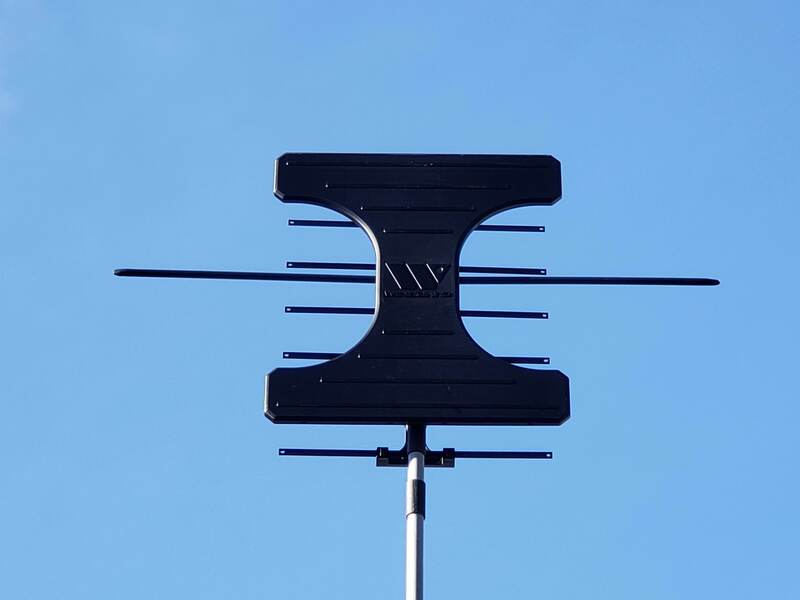 The Winegard Elite 7550 is a compact TV antenna that can be mounted inside or outside your house and is suitable for areas with medium to weaker broadcast signals. In TechHive tests the antenna scored better than any others in its class. The Elite 7550 is suitable for both VHF-High and UHF broadcasting bands, which covers the vast majority of TV stations in the U.S., and it comes with an amplifier to give weak signals an extra boost. One of the things that sets the Elite 7550 apart from other compact models is its use of reflector elements behind the antenna. These six elements sit behind the main antenna and help reflect signals back to the antenna body. It makes the antenna more directional, so it favors signals coming from the direction it’s pointing rather than from all around. This means its even more essential to point the antenna at your closest TV tower. An antenna inside the main plastic body handles UHF reception, while VHF High is handled by a dipole antenna behind the main body. Inside the antenna is an amplifier for boosting signals and an LTE filter to cut out powerful 4G cellular signals that could be transmitting close to local TV stations and affecting reception. The Winegard Elite 7550. The main UHF antenna is the large plastic body, the VHF-High antenna is the long tube and the six flat metal strips is the reflector. The Elite 7550 successfully locked on to more channels than other antennas we tested and in all cases the signal level was either the same or better than with others. In all, the Elite 7550 managed to lock 13 broadcast channels. Each of those broadcast channels carries a number of digital TV stations and in total we got 75 stations. The antenna found another five broadcast channels but the signal wasn’t quite strong enough for glitch-free viewing, so we ignored those. 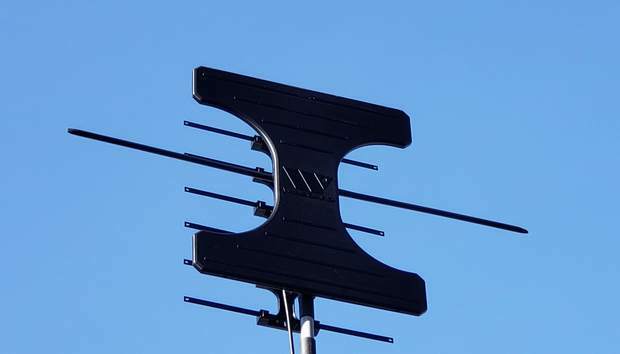 Winegard supplies an angled “J-pole” mounting tube and bracket for the antenna. This can be used to install the antenna on the side of a house or a sloped roof. The bracket is made from plastic and might be strong enough for general use, but it’s a surprising choice as most are metal. There’s also a power inserter and adapter to feed the amplifier that is built into the antenna. 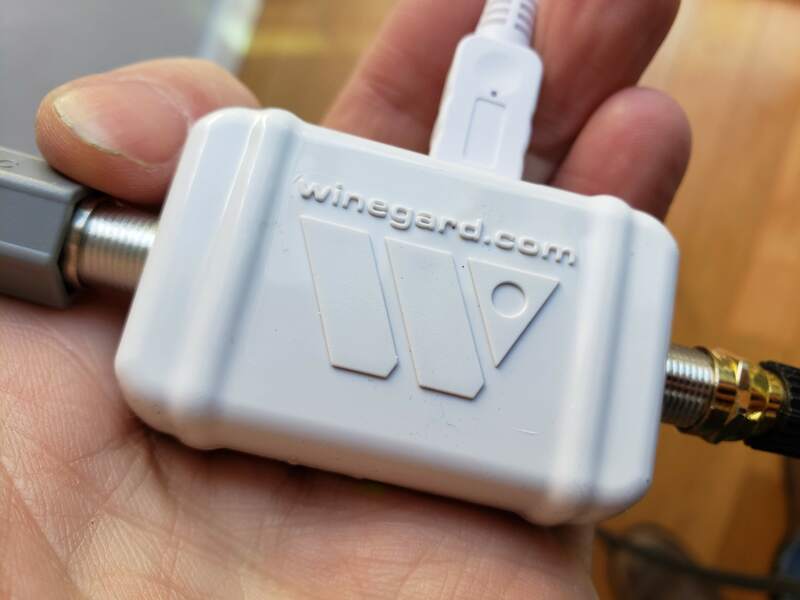 Because it’s intended to be mounted in the attic or on the roof, Winegard doesn’t supply coaxial cable. You can easily find coax cable at your local electronics store or online. You should also pick up a weather-proof connector sleeve—a small rubber protector that sits over the coax connector on the back of the antenna and keeps the water out. Installation requires a minimum of tools and isn’t difficult to accomplish. You’ll need a Phillips screwdriver and a 7/16-inch wrench for installing the mounting pole. The Winegard Elite 7550 is a sensitive antenna that should do well in areas with strong to medium strength signals. 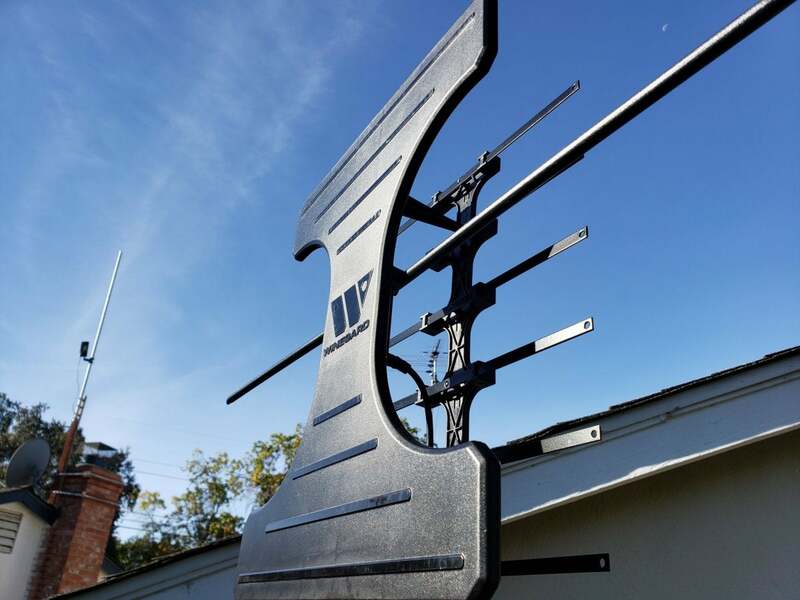 It’s well built and outperformed competing attic and outdoor mount antennas in our tests. The additional amplifier and 4G filter help with reception problems and make it TechHive’s current top pick in the class.